G.E. Bentley, Jr.’s latest book is The Stranger from Paradise: A Biography of William Blake (Yale University Press, 2001). 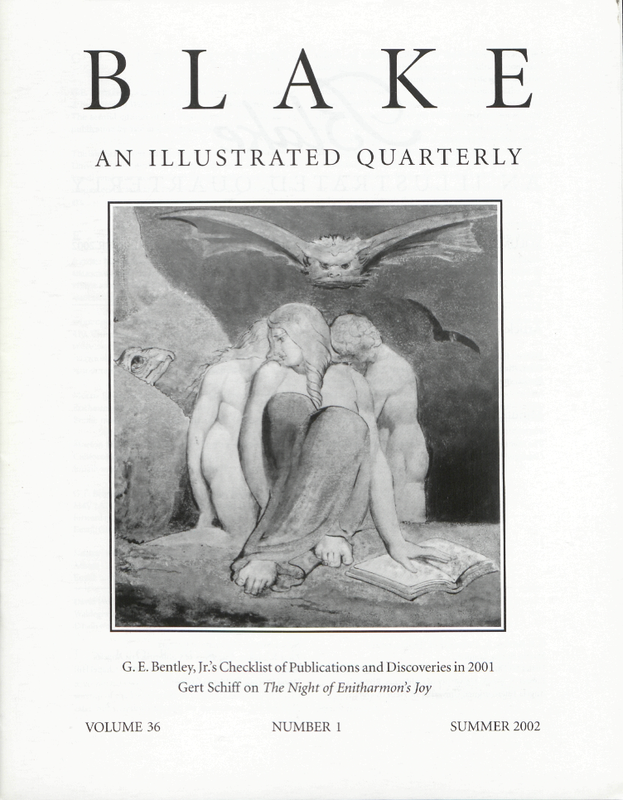 The second edition of his Blake Records is scheduled for publication by Yale in the autumn of 2002. The late Gert Schiff was professor of art history at New York University’s Institute of Fine Arts. He wrote the definitive Fuseli catalogue raisonné, and was the author and editor of studies on Picasso and Thomas Rowlandson, amongst others. Cover: Detail of William Blake, The Night of Enitharmon’s Joy (Triple Hecate). Reproduced by permission of the National Gallery of Scotland.